It goes without saying that the Canaries are blessed with year round sun, warm waters and consistent waves but here in Famara the stunning 6km long natural sandy beach set in the foothills of the “Los Riscos” cliff range make learning to surf in Lanzarote a unique and memorable experience. All our intermedia & advanced surf courses are held on Playa Famara beach which was recently voted as one of Europes top watersports destinations thanks mainly due to it’s year round consistent waves suitable for all levels of surfers. Our surf school in Lanzarote is regarded as being one of the very best intermediate schools in Europe with over 18 years of experience coaching at intermediate and advanced levels. 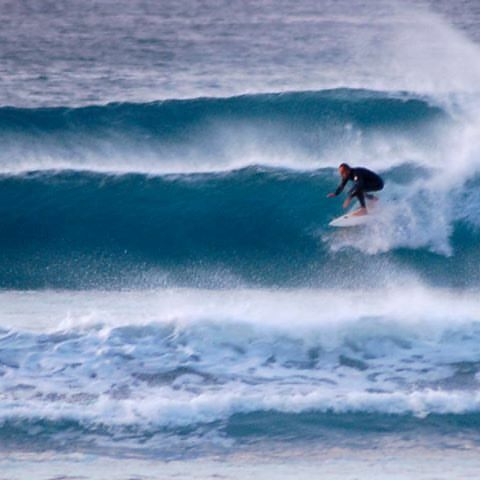 Our improver surf clinics are specifically aimed at those who those who are surfing fairly regularly and starting to catch and ride green waves but feel they need to improve further and perhaps need to concentrate and master a specifc aspect of surfing such as improving turns, perfecting a manoeuvre, paddling out techniques or just increasing your wave count. Each lesson is a half day, approx. 4h, groups are divided by ability and have low instructor to pupil ratios, typically 1/8 or less. 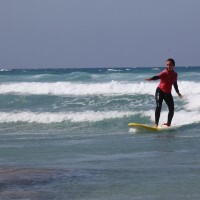 Your surf instructor will assess your ability and needs and through beach drills and waterwork sessions they will clearly explain/demonstrate the techniques and provide you with the positive feedback that’s needed to help you progress and improve your surfing skills. 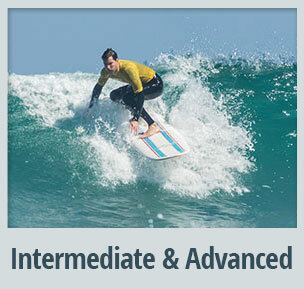 In addition you will also cover important aspects of surfing in our surf lessons. Topics covered include surfboard design and selection, beach safety, weather and waves, surfing fitness, the rules of surfing, types of breaks and many more. Surfing is progressive and with the right coaching and encouragment from the team you are guaranteed to see yourself improving within the week. As an intermediate you are welcome to bring your own surfboard however it might be less hassle and more cost effective to use one of our boards from our intermediate range shaped by our surf board shapper. We will help you choose that magic board based on your height, weight and ability. Our mid range boards include mini Malibus from NSP and Circle One also Fieberglass in various sizes including 7’3”s, 7’6”s, 7’7”s, 7’11”s and 8’6”s. 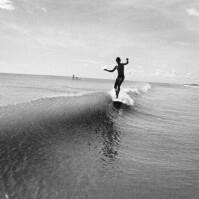 Our longboard quiver includes our long time favourites from NSP including the classic 9’0 the Circle One 9’2”. Our short board range comprises of transitional fishes and fun board shapes from NSP and Fieberglass Boards. We offer our intermedia & advanced surf course clients one of the widest choice of handpicked accommodation in Famara including budget studios, apartments, detached beachfront bungalows and luxury villas with private pools. All properties are located within easy walking distance of the beach and local amenities. You can decide which property best suits your needs, taste and budget from the list of properties below. Please contact us for more information about the range of accommodation we have available in Famara. If you have a specific requirement then please do not hesitate to contact us and we will endeavour to tailor a surf holiday to suit your needs and budget.